What is it like to work at Wokingham? Situated in the Holt School’s beautiful grounds, we’re provided with an excellent list of facilities such as: a theatre, gymnasium, sports hall, art room, and a giant Multi Use Games Area! 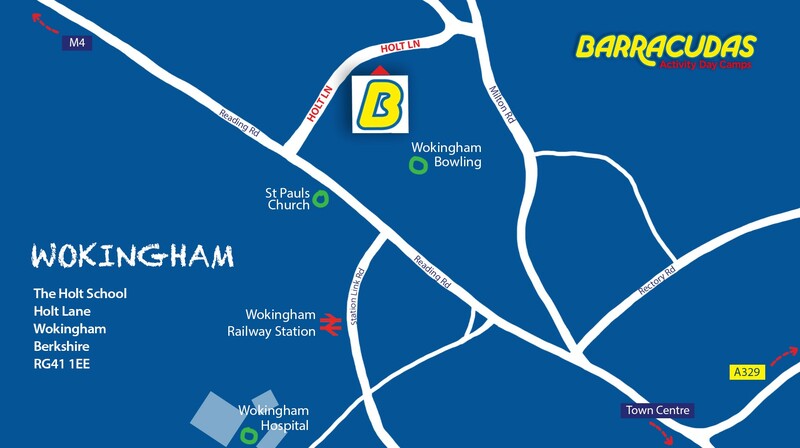 As a location, Wokingham has a train station that is just over 10 minutes away from the camp, which runs regular trains to various places, including Reading and London. Please Note: This camp is also close to our High Wycombe and Woking camps, so if the role you’re looking for isn’t available, be sure to check those camps out too!